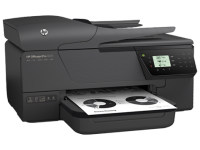 Bring affordable, high-quality printing to your business—HP 960 Black Ink Cartridges help you consistently print professional documents for an affordable cost that rivals toner refills.1 Conserve resources and get free, easy recycling. CZ665AA Bring affordable, high-quality printing to your business—HP 960 Black Ink Cartridges help you consistently print professional documents for an affordable cost that rivals toner refills.1 Conserve resources and get free, easy recycling. 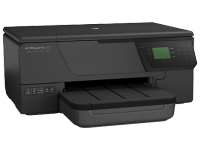 Count on laser-like printing for an affordable cost that rivals toner refills.1 Get exceptional printing time and again, and produce up to 1,600 pages.2 HP printers and inks are designed to work together for optimal results. Make a professional impression—consistently produce high-quality business and everyday documents with laser-quality black text. These pigment-based Original HP inks deliver bold output that resists smearing, fading, and water. Conserve resources and reduce your impact, using a cartridge designed with the environment in mind. Count on free, easy cartridge recycling through HP Planet Partners.5 Help save paper and energy with HP Smart Print. 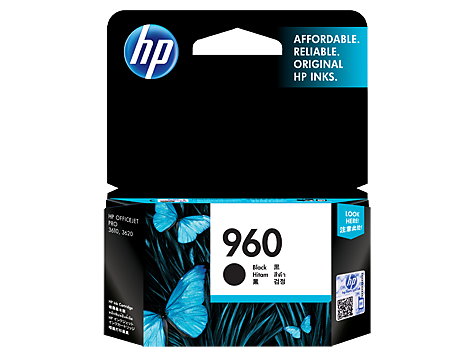 To Recieve updates and possible rewards for Hewlett Packard (HP) HP 960 Black Original Ink Cartridge please sign in. To Recieve updates and possible rewards for Printer Cartridge, Ink & Toner please sign in.